With so many exciting and versatile styles to choose from, you can change your look every day! Easy to use attachment types include snap clip comb, claw comb, butterfly clip, drawstring, clip on, 3/4 wig cap, flex comb, jaw comb, scrunchie, soft and hard headband and more. 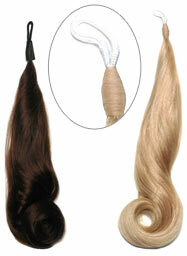 Brands include Look of Love, Rene of Paris, Jon Renau and Wig Pro. 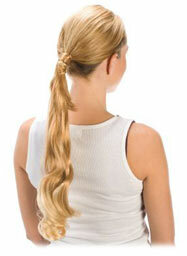 Wear this classic pony as is, or easily braid it using the three undetectable cords. Either will look flawless! • Overall Length: 16 - 22 in.